Quite simple really, they are required to upgrade your inventory space. Here is a little tip on how to find them, without spoiling all the locations of those cheeky little buggers. Good news, this article has pictures! 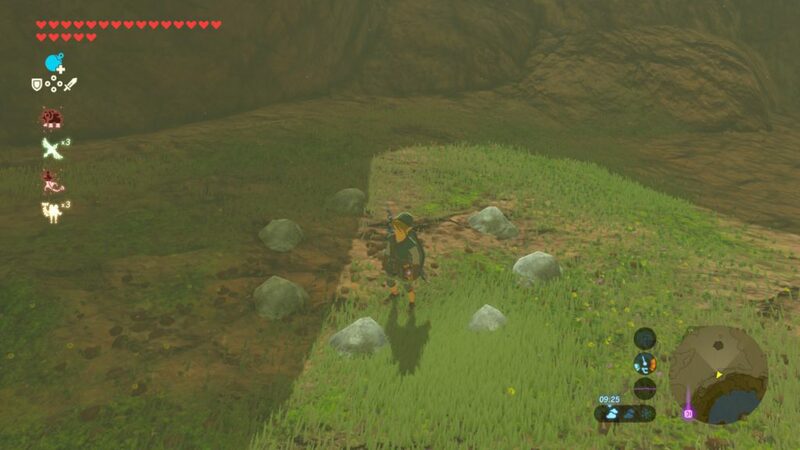 Have you ever taken a hike and found this strange circle of rocks and decided: “hey lets throw a bomb there” and see if a hole appears, but nothing happened? Well I did the same thing. Turns out if you look closely, there is an opening at the circle. 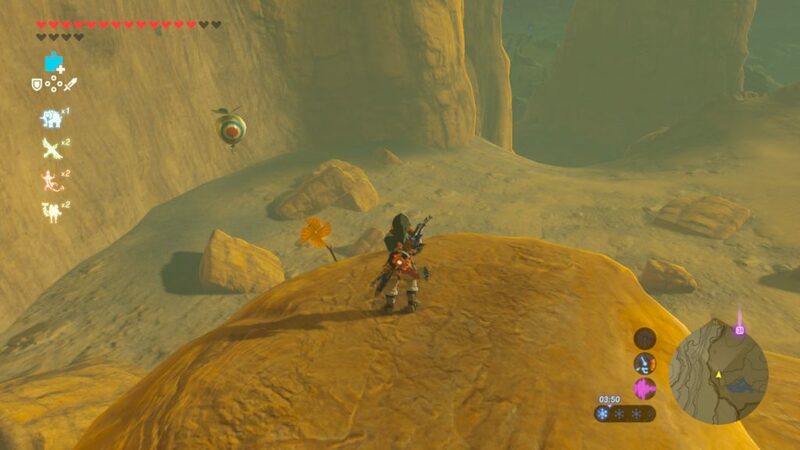 If you fill it with a nearby rock, a little Korok appears giving you his seed. Have you ever wondered about those strange stone rings in the water? Tried throwing bombs in them but nothing happened? Well good news, I got the solution right here. 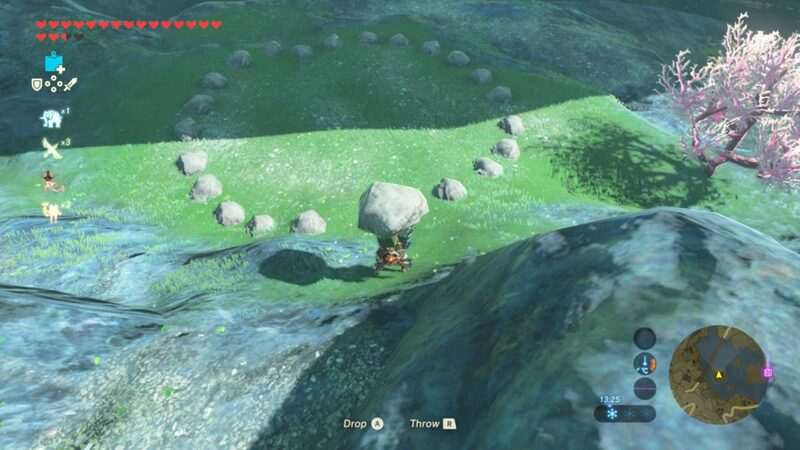 This one is a little tricky, but if you throw a rock right into the middle of this stone ring, another Korok will appear and award his seed to you. Came across a little windmill that resembled a children’s toy? 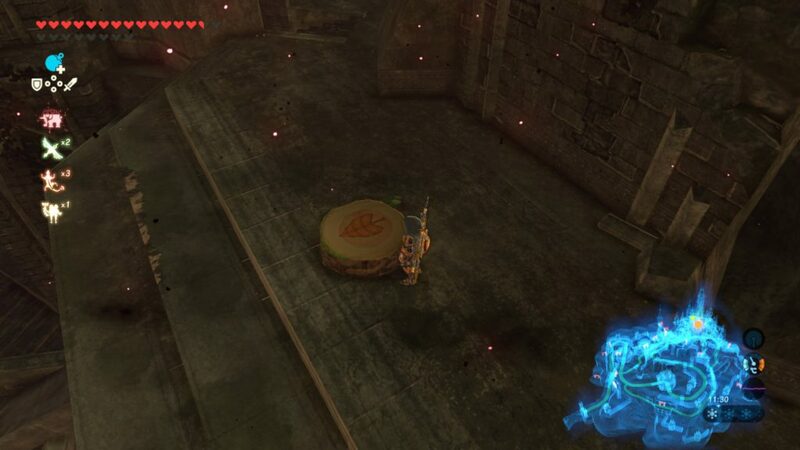 It turns out that if you stand right in front of it, a balloon will spawn, starting a fun little minigame. Depending on the location, a certain amount of balloons need to be popped and they might also move around. Once you successfully destroyed all the balloons, the cute little guy will award you his seed. This Chain Chomp, who sadly passed away due to unknown circumstances, is actually a metal ball that can be moved with your Magnesis ability. 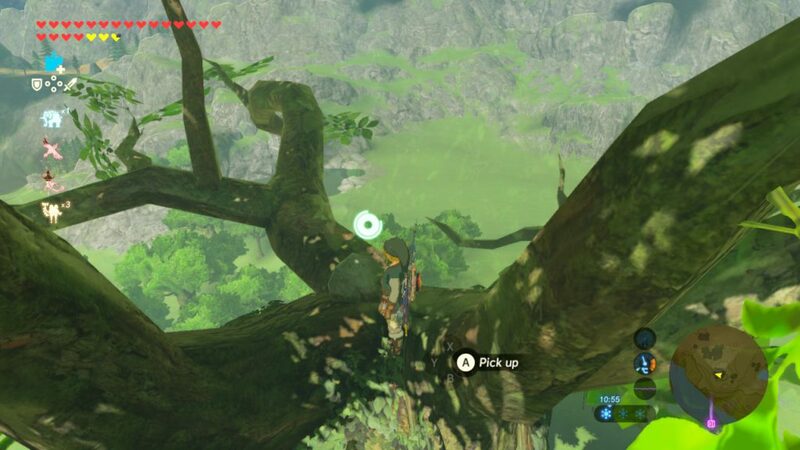 Place the ball right on top of the tree stump and another Korok will appear. Hmm what are those boulders doing here? What if someone would accidentally push them all off the cliff? You got that right, doing so will reveal another Korok. Lifting this rock will reveal another Korok. 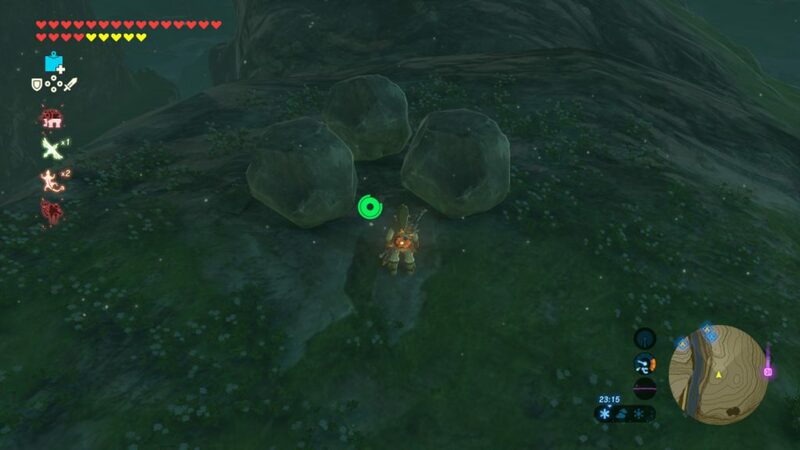 These rocks can be found anywhere, even on top of trees, behind a rock-slide that is waiting to be blown up, underneath a thin slate of rock that requires Stasis to be moved. The lonely rocks could be placed in the strangest of locations. Keep your eyes peeled for these rocks. There is no logical pattern as I have discovered that these rocks can be paired with other rocks. 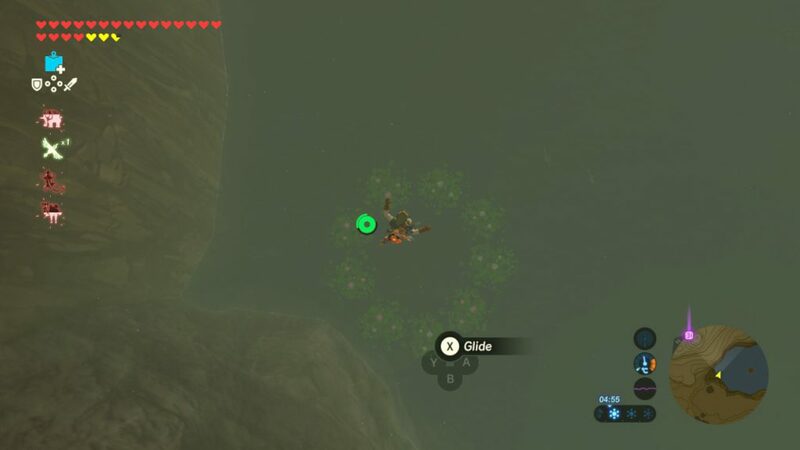 If you come across this beautiful green circle, make sure you jump with your paraglider and aim for the middle and than let go. Successfully landing in the middle of the circle will award you another seed! Ever came across two or more statues standing in a line. But only one of them had a fruit? Or multiple statues with only three of them having the same fruit? 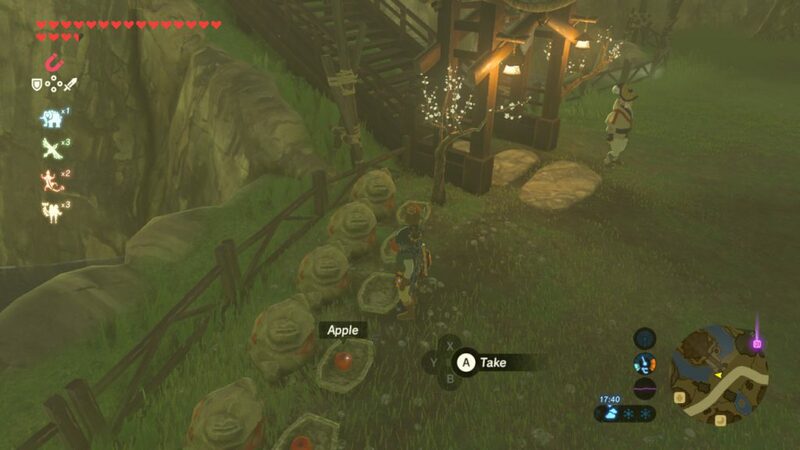 This is a good indication that the poor statue/statues also want to have the same fruit, because his/their friends are mean and ate them all! 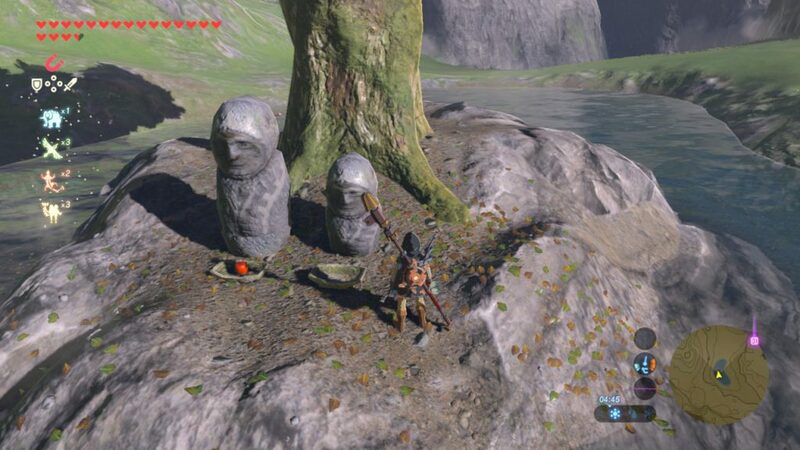 Giving the statue/statues the missing fruit will reveal another Korok. 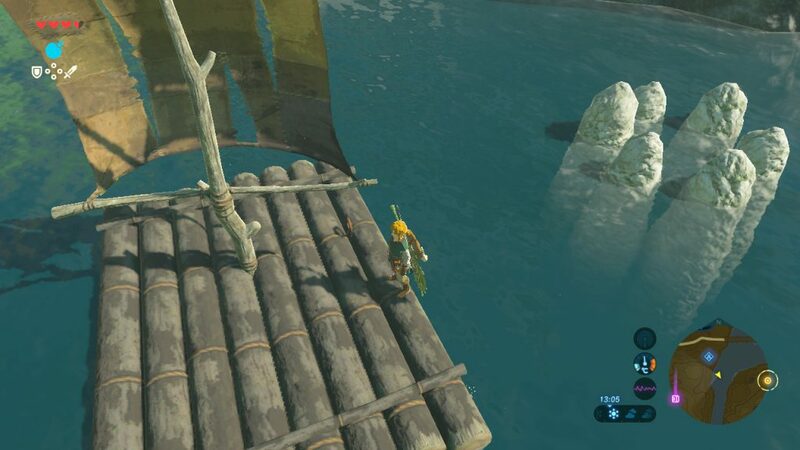 Once you step onto this platform, a little minigame will start. You will see a circle with yellow orbs. Get to the circle as soon as possible, before all the orbs turn small. The orbs act like a timer. 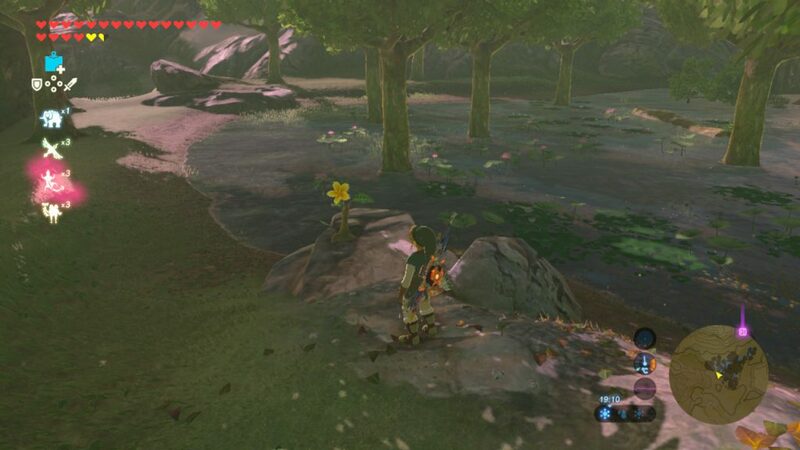 If you make it in time, a Korok will appear with your special reward. This little minigame is a fun one. 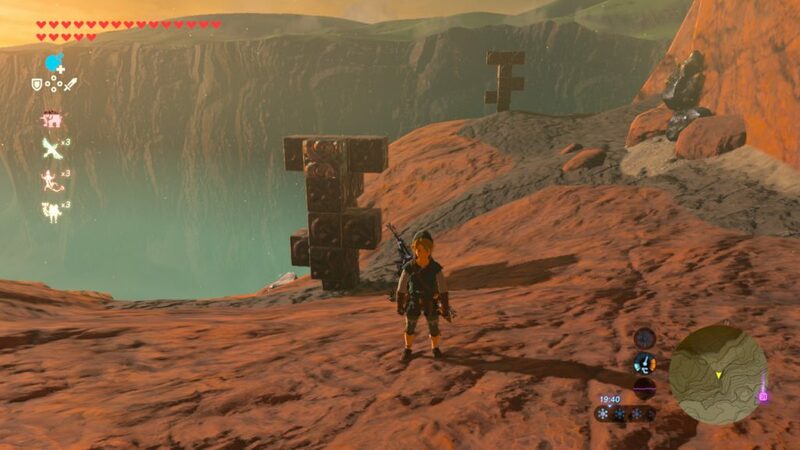 I found this one in the Gerudo Highlands. You pick up the massive snowball and aim right at the path. 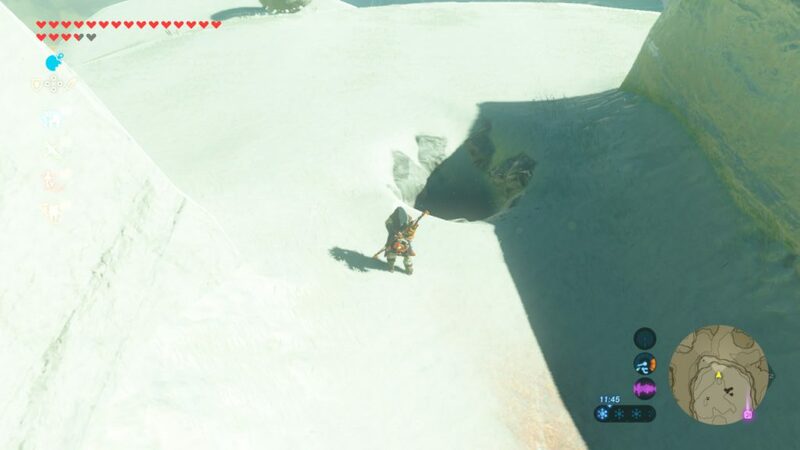 The snowball should hit the massive hole revealing another Korok. Have you ever noticed a trail of sparkles appearing in a location? 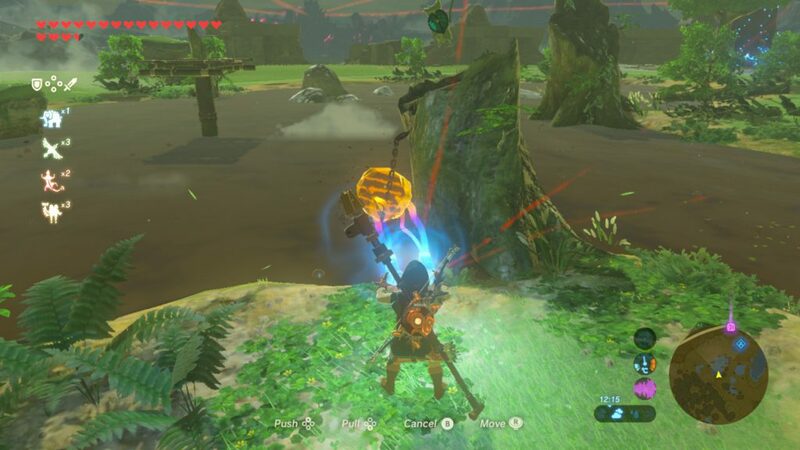 You can hear the noise of the Koroks and it simply won’t stop! Chase after the sparkly trail. 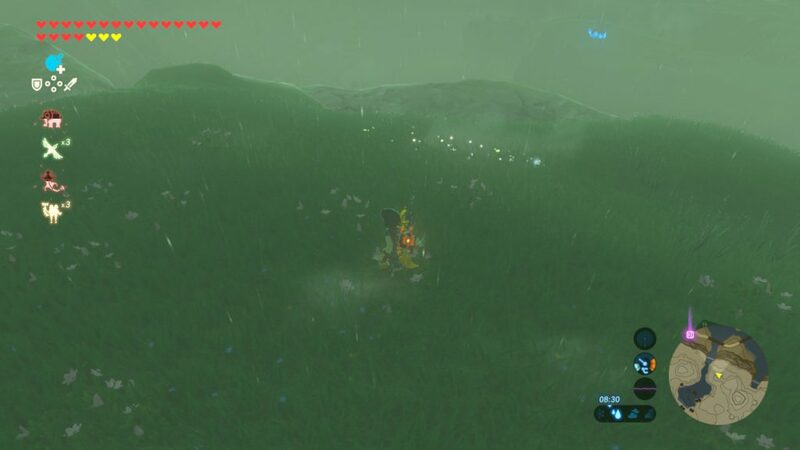 If you manage catching it, it will reveal another Korok. In the middle of nowhere, suddenly this beautiful yellow flower appears. It sticks out from the rest. Once you walk up to the flower and try to grab it: “PUFF” it vanishes like “Puff the Magic Dragon”. But if you look around, you will see the flower magically teleports to a nearby location. Keep on chasing this flower until it turns white. 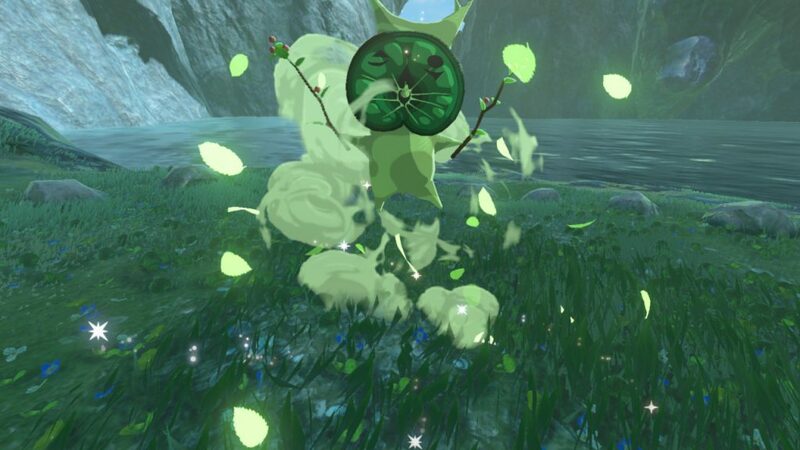 Capturing the white flower will reveal a naughty little Korok. There are many metal blocks. You usually see one version completed and one pattern missing a cube. For you the task to find the missing block and use Magnesis to put it back in its place. There are many different ones of those. Here’s one of them. These are all the locations I can come up with for now. My tip is to look for anything that looks out of place. I wish you good luck in finding these cheeky little sods. There are exactly 900 of them.